When Matt’s mum came to visit the other weekend she treated me to a trip to the theatre to see my favourite show: Wicked. As part of the deal from LastMinute.com we also had dinner included at the nearby Bbar restaurant. Given that it was basically a free meal I wasn’t expecting much from the place but I was pleasantly surprised. When we arrived we were shown right to our table which was already set with the pre-theatre menu at our places. The comfy armchair style chairs were a nice addition to the already lovely restaurant and were especially great after a long day on our feet shopping! The place has a kind of african theme going on (but not the menu which is varied if not very large) and very relaxing. 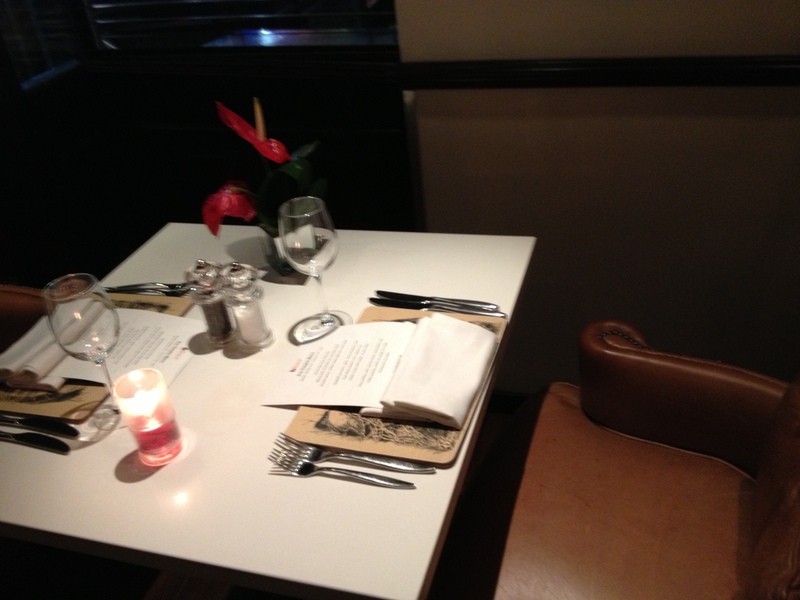 The deal was for two courses which would usually set you back £17 (you can upgrade to three courses for an extra £4). We both decided to skip the starters in favour of pudding (well it would be rude not to eh?). 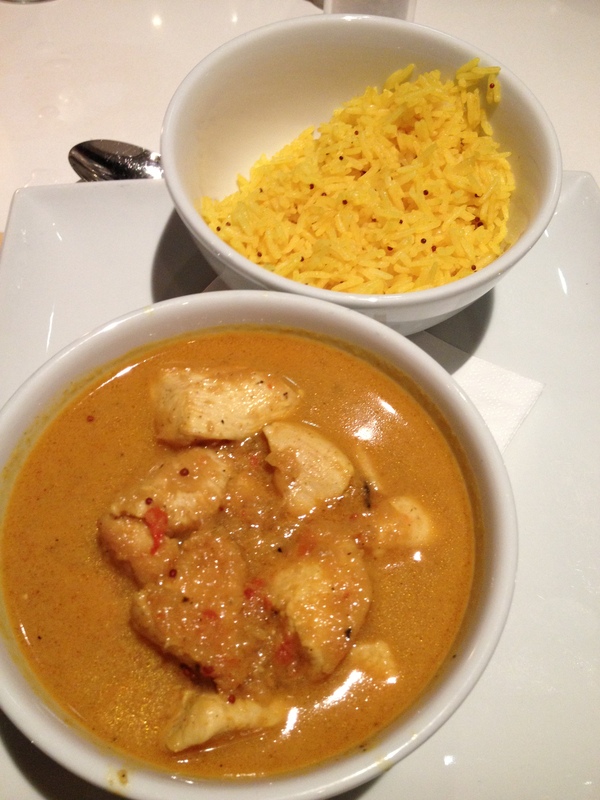 For the main course we both had the Cape Malay chicken curry with fragrant rice. It was served in two separate bowls which made it a bit trickier to eat than if it had come just served straight on the plate it but it was delicious and had a nice kick to it while still managing to be fairly mild. The sauce was a little on the thin side and I ran out of rice so it would have been lovely to have a piece of naan bread or some poppadoms to mop up the leftovers with. That said I thoroughly enjoyed it. Not wanting to eat anything too heavy right before going to the theatre I went for the honeycomb ice-cream over the toffee pudding for dessert and by golly it did not disappoint. It was beautifully presented as two large triangles of ice-cream (one would have been more than sufficient) and was incredibly creamy just slipping down your throat. The honeycomb was nice and crunchy if a bit on the chewy side but it was a delightful combination. The restaurant also has an extensive cocktail and wine menu from which both of us chose a Bellini to go with our food. This was one of the best meals I’ve had in a long time and I would definitely recommend to anyone in the area. Given that the curry alone is priced at £16 the pre-theatre menu is a steal and the drinks are reasonably priced given its proximity to several theatres and Buckingham Palace.